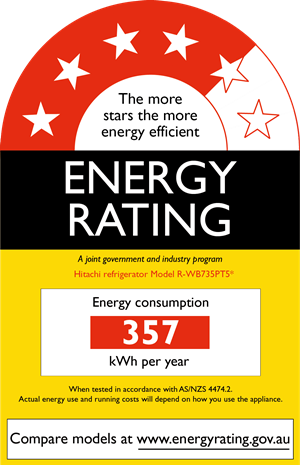 Hitachi’s new R-WB735PT5 650lt 4 Door French Door INVERTER Refrigerator boasts industry leading 4.5-star energy efficiency. 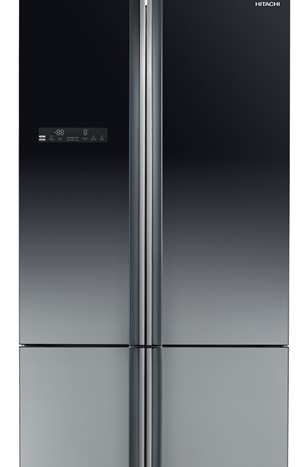 Two ultra-efficient technologies make the R-WB735PT5 refrigerators a leader in energy efficiency. First, an inverter compressor controls the cooling power. Second, Dual Fan Cooling uses to separate fans, one dedicated for the refrigerator compartment and the other for the freezer compartment, to maintain the optimal chilled air environment in each department. 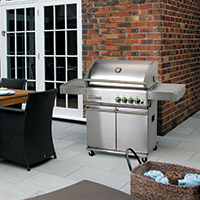 The R-WB735PT5 features a stunning “Gradiation” Slate Grey Glass finish and industry leading 5 Year Warranty (with additional 5 years’ parts warranty on the Inverter compressor) plus a host of features: VIP Insulation, LED Lighting, Tempered Glass Shelves, Touch Controls, Smooth Gliding Smart Vegetable Compartment, Eco-Thermo Sensor and Aero Care Vegetable Compartment.